birthday, anniversary, or a special gift for you. 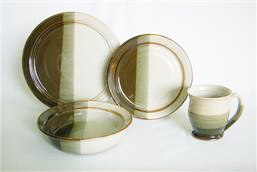 One of the defining characteristics of an elegant homeis the type of dinnerware that one uses. 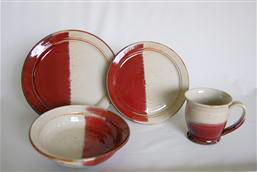 At the present time we are not selling our Dinnerware on line but you can contact us by calling 519-647-2117 or email us at the studio at donn@donnzver.com. 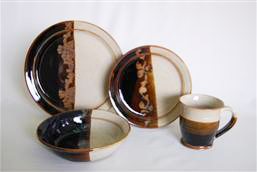 You can also visit our studio here in Troy and we will be happy to help you with your dinnerware. 1- Dinner Plate - 10.5"
1- Luncheon Plate - 8.75"
1- Soup Bowl - 7.75"
1- Coffee Mug - 12 oz. special aspect of our work. We offer a wide selection of patterns which can be viewed here at our studio in Troy. can be used in a microwave or oven. 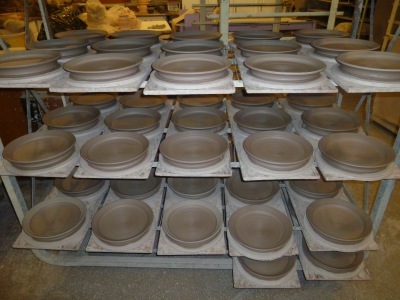 required due to the demand for our Pottery. and small variations in size. 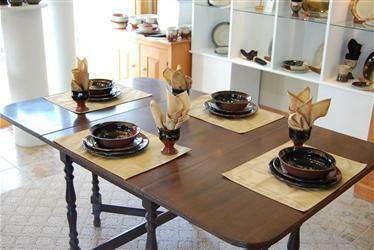 The dinnerware display at the studio here in Troy. A setting is often displayed in our showrooms and available for purchase. 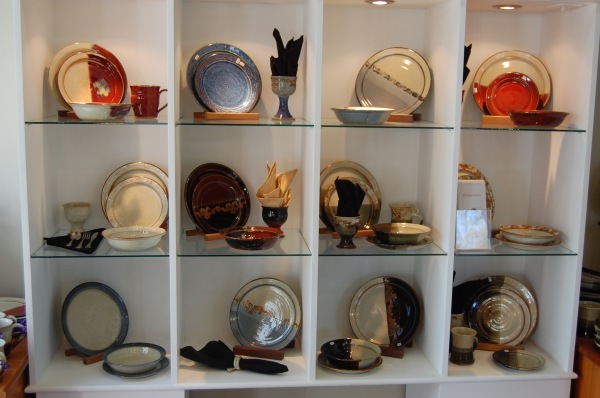 Our dinnerware display at the Studio in Troy. 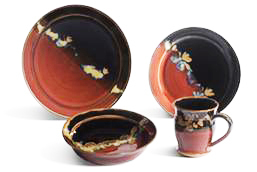 Displaying a number of possible glaze combinations and colours. Our Gift Registry allows you to preselect the items you wish to receive from family and friends. according to their likes and price range. 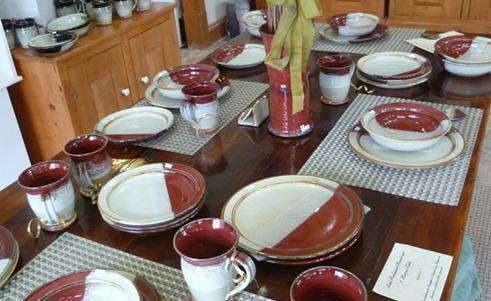 glazes and decorations that suit your needs. with design sketches and special notes. so that your family and friends may order pieces that they wish to give. may phone in orders or visit the studio. based on the gift certificates received. 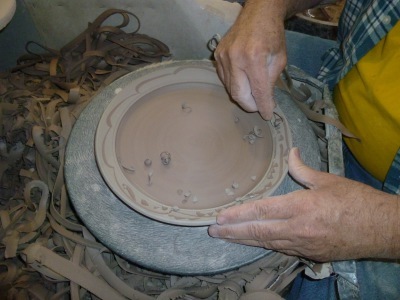 change any gifts that you have received for other pieces of Pottery. which we know you will enjoy for years to come. 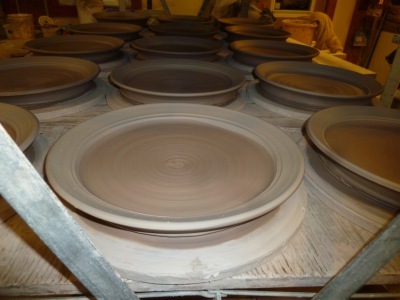 and fired a second time in the Gas Kiln.